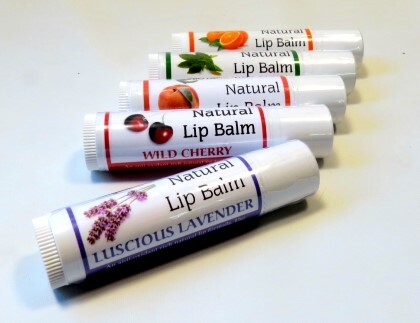 Natural lip balm made with organic coconut oil and shea butter. 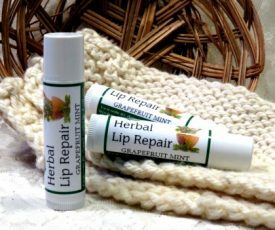 Tasty lip protection that is super moisturizing! Our natural lip balm is made with organic, omega-rich coconut oil and super moisturizing Fair-Trade shea butter. 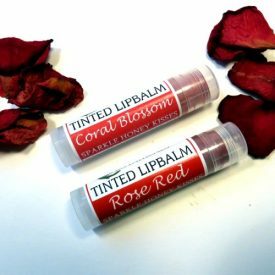 Your lips will feel silky smooth and moist without feeling covered and smothered with heavy ingredients that won’t let your skin breathe! Citrus Squeeze- A pure essential oil blend of organic orange, pink grapefruit, and tangerine. Citrusy fresh! Wild Cherry – A juicy, sweet cherry flavor. Natural flavor oil. Mint Tingle – Sweet, breath freshening organic peppermint essential oil. Make your lips tingle! Juicy Peach – A natural peach flavor oil that has the juicy taste of summer. Lavender Love – Pure essential oil of organic lavender smells heavenly and is extra healing to your lips! Coconut Vanilla – Yummy toasted coconut flavor with a sweet taste of natural vanilla. NEW FLAVOR! Cinnamon Gingermint – Cinnamon natural flavor with a zesty touch of ginger and mint. Reminds me of Dentyne gum! 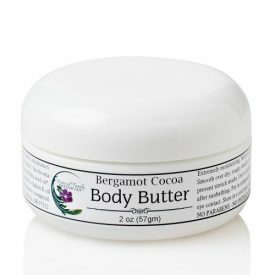 Organic virgin coconut oil, beeswax, shea butter, avocado oil, non-gmo vitamin E oil, essential oils or flavor oils. My daughter and I love this stuff! It’s great to know we are putting something good for us on our lips instead of all the chemical filled versions. I keep them all over the house. The only thing is I wish the vanilla coconut flavor was available again, it was my husbands favorite! 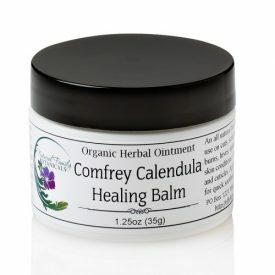 This lip balm is wonderful! Nice and smooth and really does moisturize your lips. I always keep a supply of these lip balms so I am never without them. And all my granddaughters get a fresh one every Christmas. They love the flavors. So do I. Being they are all made with the most natural ingredients, I feel I’m giving them something that is good for them.